In the first-half against Arsenal on Sunday, Liverpool were fairly lacklustre – which has been largely forgotten because of what we did in the second-half. We were lethargic, not visibly pressing and not incisive enough on the ball. Arsenal were 1-0 up and had missed a penalty by the time Coutinho won a free-kick 30-yards out and curled it into the top corner. Skipper Jordan Henderson reckons this, combined with a frank team-talk from Jurgen Klopp, inspired our scintillating start to the second 45. The captain has hit the nail on the head, to be fair. 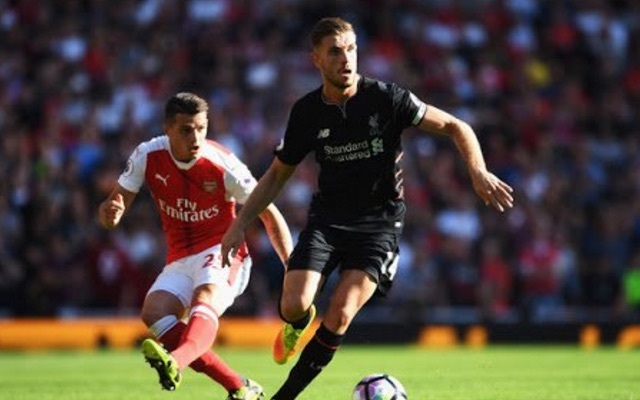 Going forward, Liverpool looked spellbinding – but our defensive lapses almost cost us a deserved three points. If we’re capable of scoring four goals away at the Emirates, we need to be capable of not conceding three at the same time – as some days this season the wonder-strikes won’t go in. Still, it’s brilliant that Klopp was able to explain to his players what was going wrong tactically – which enabled us to completely change the game.